Effective and well-implemented version control is a necessity for successful web projects, whether large or small. With this book you'll learn how to master the world of distributed version workflow, use the distributed features of Git to the full, and extend Git to meet your every need. 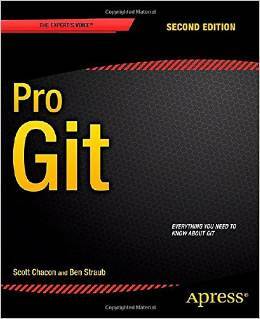 Written by Git pros Scott Chacon and Ben Straub, Pro Git (Second Edition) builds on the hugely successful first edition, and is now fully updated for Git version 2.0, as well as including an indispensable chapter on GitHub. It's the best book for all your Git needs. Use Git as a programmer or a project leader. Become a fluent Git user. Use distributed features of Git to the full. Acquire the ability to insert Git in the development workflow. Migrate programming projects from other SCMs to Git. Learn how to extend Git. This book is for all open source developers: you are bound to encounter Git somewhere in the course of your working life. Proprietary software developers will appreciate Git's enormous scalability, since it is used for the Linux project, which comprises thousands of developers and testers. This book takes you step-by-step through ways to track, merge, and manage software projects, using this highly flexible, open source version control system.